The chairman of a football club with a ‘strong community backing’ has said it will not be affected by the break-in last week. Steyning Town Community Football Club was broken into at some point overnight on March 14 or early in the morning on March 15, police said. Chairman of Steyning Town Community Football Club Richard Woodbridge said the club will not let the action of individuals affect them. “We won’t let this break-in affect us as a club” he said. “We have a strong community backing and so many people enjoy coming here. “This is a community club and I feel sorry for the people who have been put out by these actions. The service hatch to the kitchen was broken and food and drink was stolen, according to police. Mr Woodbridge added: “All the plates were smashed before the club was left in a general mess around the kitchen and surrounding areas. The club is now thinking of increasing the number of CCTV cameras to prevent future incidents. Mr Woodbridge said: “We have internal and external cameras but we may need to increase this. Police confirmed the report of the break-in. 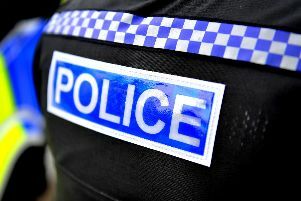 A spokesman said: “Police received a report of a break-in at Steyning football club overnight on March 14 into March 15. “The wood panelled door was damaged and food and drink was stolen.